An organized collection of more than 10,000 repeated words found in the Bible (KJV). 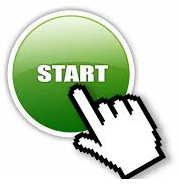 For quick start, click on the green "START" button on the left below. Why Finding Repeated Words in Bible? Repeated words found may reveal useful information (e.g. themes, structures, emphasis...) in the Bible. More than 10,000 repeated words are identified and posted in this site. They can be a useful reference for your Bible reading and studies. What are the repeated words found in Proverb, chapter 1? How many times a word is repeated in the Bible? Therefore the LORD stablished the kingdom in his hand; and all Judah brought to Jehoshaphat presents; and he had riches and honour in abundance. Now Jehoshaphat had riches and honour in abundance, and joined affinity with Ahab. And I have also given thee that which thou hast not asked, both riches, and honour: so that there shall not be any among the kings like unto thee all thy days. Both riches and honour come of thee, and thou reignest over all; and in thine hand is power and might; and in thine hand it is to make great, and to give strength unto all. And he died in a good old age, full of days, riches, and honour: and Solomon his son reigned in his stead. When he shewed the riches of his glorious kingdom and the honour of his excellent majesty many days, even an hundred and fourscore days. Length of days is in her right hand; and in her left hand riches and honour. Riches and honour are with me; yea, durable riches and righteousness. A gracious woman retaineth honour: and strong men retain riches. A man to whom God hath given riches, wealth, and honour, so that he wanteth nothing for his soul of all that he desireth, yet God giveth him not power to eat thereof, but a stranger eateth it: this is vanity, and it is an evil disease.